The New Nintendo 2DS XL has launched in Southeast Asia yesterday. It comes in two colors – Black X Turquoise and White X Orange. 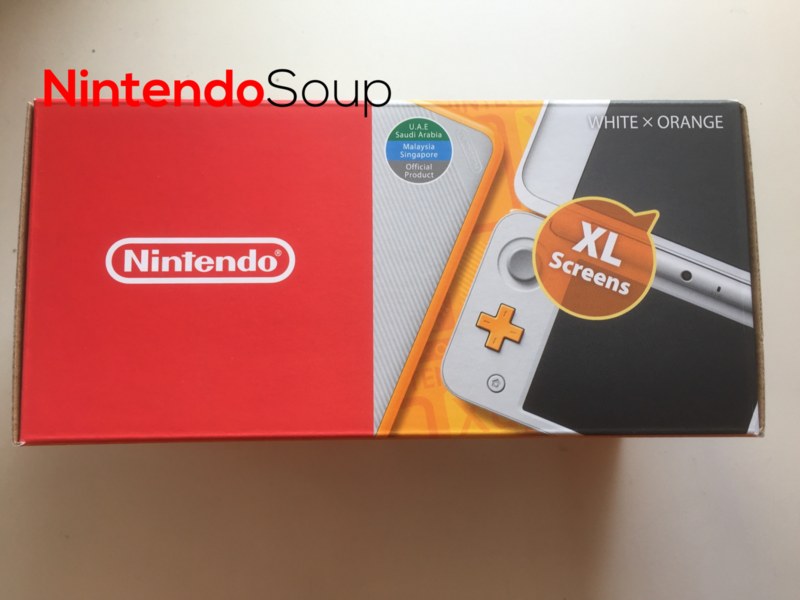 One special thing that has come to our attention is the White X Orange model of the New Nintendo 2DS XL sold in Southeast Asia is compatible with Nintendo 3DS games sold in North America. Given that Black X Turquoise is the only color available in North America, some may consider importing this. Here’s a look at the front of the packaging. Note the “Official Product” logo at the top left corner of the box. 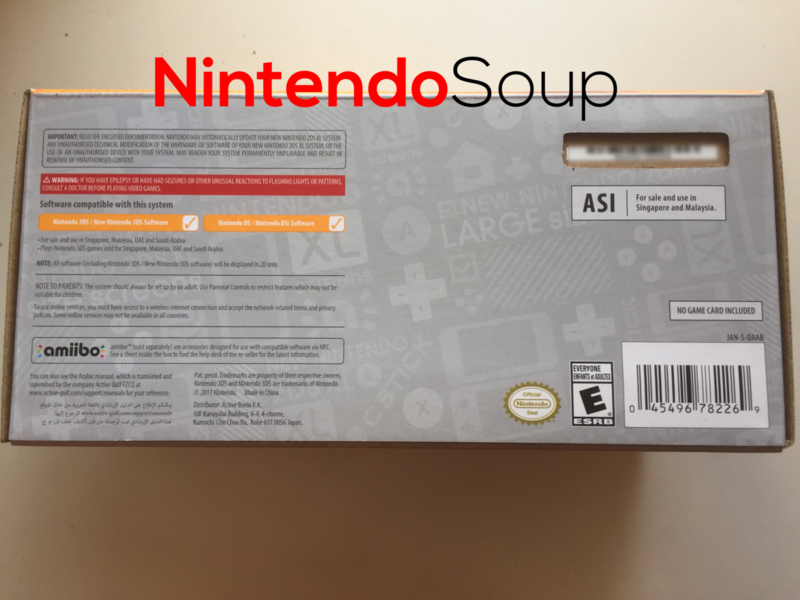 The bottom of the box contains information such as the serial number of the console and compatibility. Note the ESRB logo at the bottom right. The top part of the packaging is completely the same as the European version, but with the “Official Product” logo slapped on it. 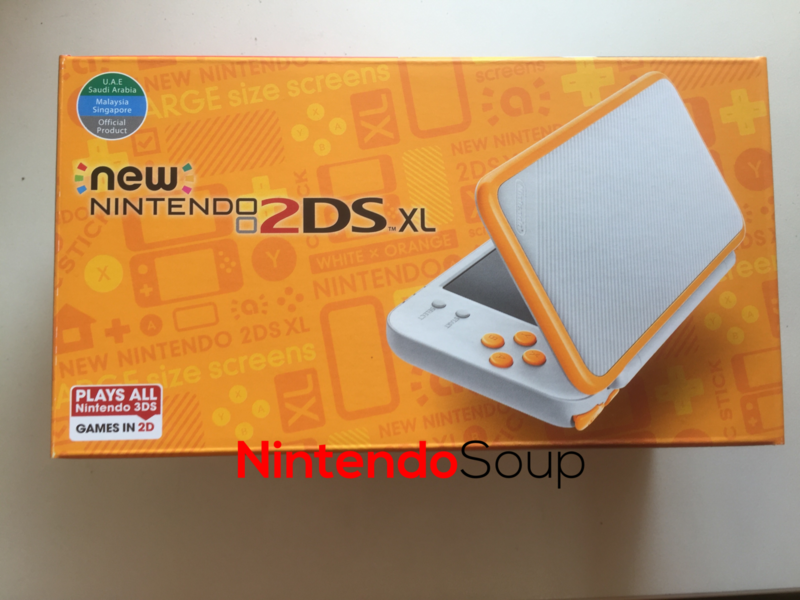 Lastly we have the back of the packaging, which shows the key features of the New Nintendo 2DS XL. 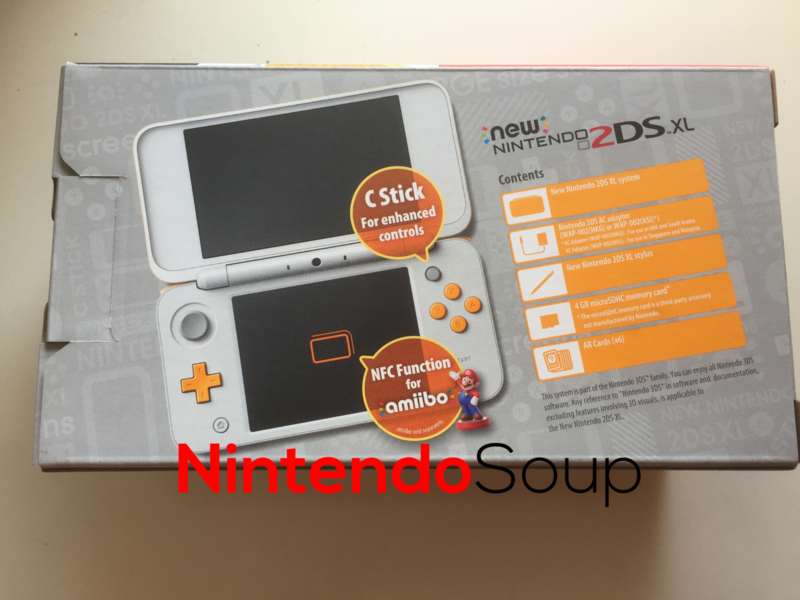 The system comes with the New Nintendo 2DS XL, stylus, 4GB micro SD, AR cards, and an AC adapter compatible with UK/Singapore voltage. And that’s about it! 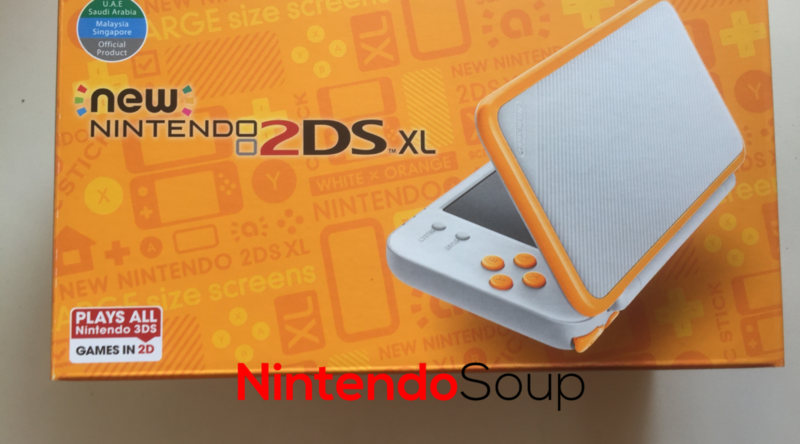 If you’re living in North America, will you consider importing this in as it’s the only way to play US games on a White X Orange New 2DS XL? Let us know in the comments!